Smith hung with Jones as well as anyone has in a long time. He never really threatened Jones much and was perplexed at the post-fight news conference about why he couldn’t get going. Other than a third fight with Cormier, none of those men generates a lot of heat, particularly outside the MMA circle. He hasn’t looked past anyone yet, though the opportunity was there on Saturday against Smith. 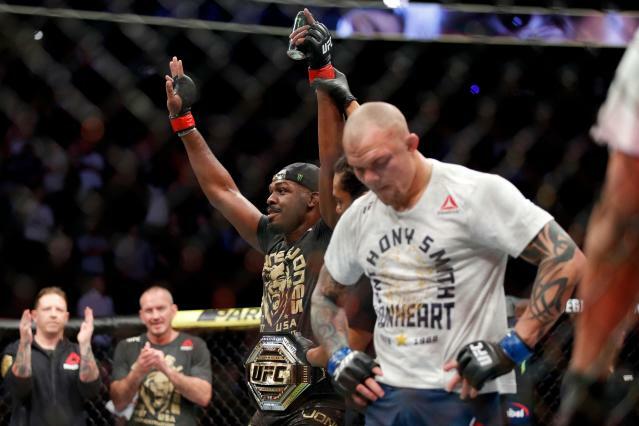 Jones was more than a 10-1 favorite when the fight opened, though bettors went heavily on the underdog Saturday. 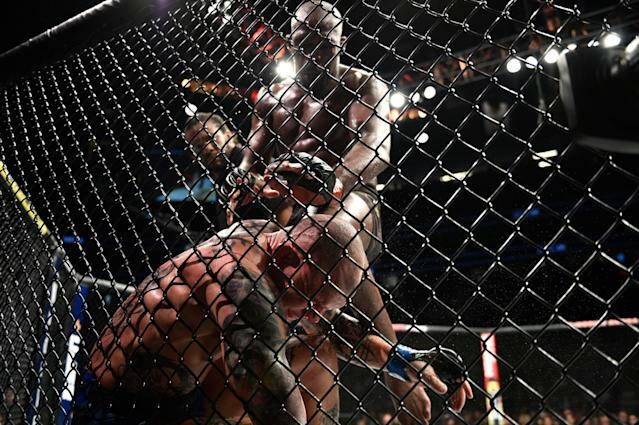 Smith would have won by disqualification if referee Herb Dean decided he couldn’t continue. Smith, though, said he was fine and fought on, avoiding what White called “the weasel way” of winning the fight. He could potentially do it, but neither of their first two fights inspires much confidence. Who knows how long it will take Johnny Walker to be ready for Jones? 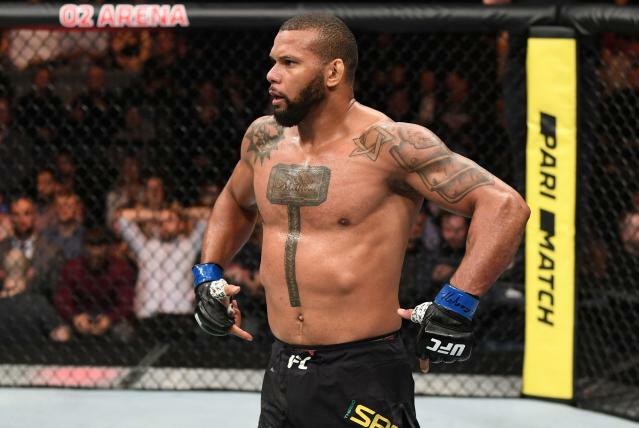 Walker knocked out Misha Cirkunov with a flying knee at 36 seconds of the first round Saturday, a month after winning a fight in 15 seconds in Brazil. White said Walker “isn’t going to fight anyone serious” for a while.